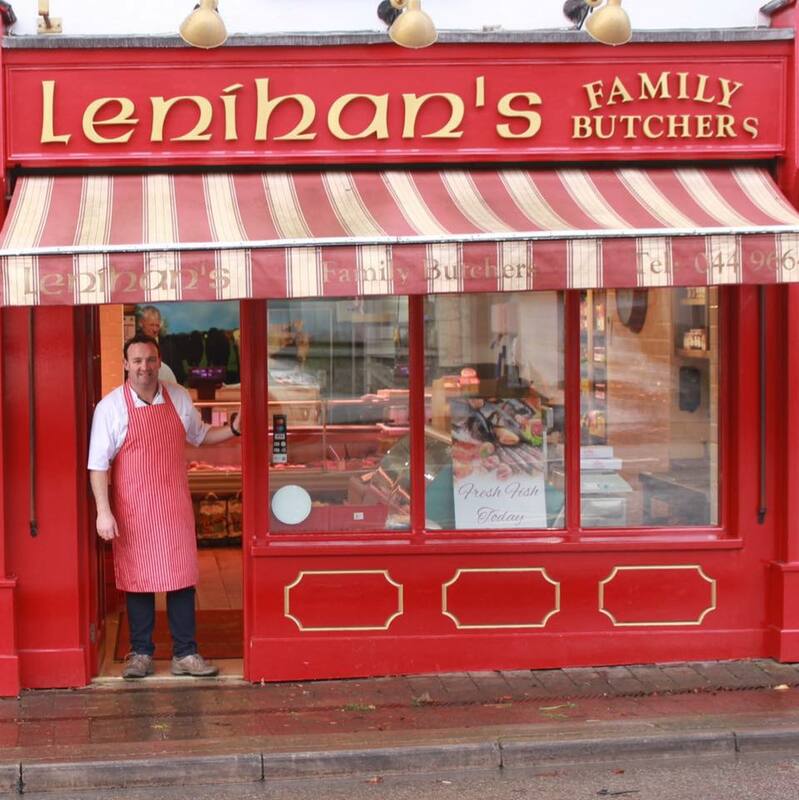 Established in 1934, Lenihan's Family Butchers is a family run business and Certified Craft Butcher, owned and managed by John Coll. All beef and lamb comes directly from trusted local farms and customers can be fully assured that all meats are fully traceable from farm to fork. Aside from quality meats, fresh fish is delivered each Wednesday. In addition, they proudly sell a full range of deli products and a wide range of fresh vegetables and sauces. With friendly and knowledgeable staff, they will happily assist customers with queries on food portions or tips on how to prepare dishes. Call in today and see the special offers available in store. John Coll Butchers T/a Lenihan’s John Coll Butchers T/a Lenihan’s shared a post. Happy Easter, John and all your mates in the Butcher Shop.